My entry for the Jubilee Challenge is starting to take off! It might even get built! 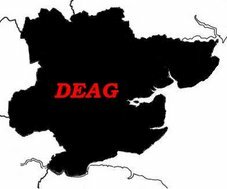 I already have a plan to build a layout based on Ongar a terminus station at the end of the GER line from Liverpool Street via Epping. The line was subsequently taken over by London Transport and became part of the Central Line. Unfortunately whichever way I tried I could not make a sensible track plan that would fit into 9.42 sq feet. So back to the drawing board! Fortunately I already had an idea for another project that would use the Fence Houses’ J72 that I have built which is now waiting completion i.e. painting; also one on which I could run an 08 that I am currently building from the Association kit. I have therefore decided to model the station of Aidensfield as featured in the TV series ‘Heartbeat’. 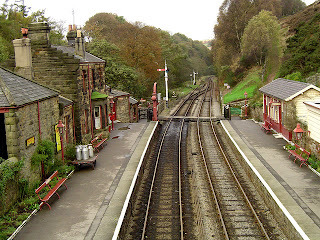 The station is actually Goathland station on the North Yorkshire Moors Railway. The station was also used for ‘Hogsmeade’ in the first of the Harry Potter films. I first visited the NYMR about thirty years ago as part of a volunteer group; based in the accommodation coaches at Goathland Station. I was also luck to return a couple of years ago and this rekindled my interest in the line and the station of Goathland in particular. I was also fortunate enough to take numerous photographs which will assist in the modelling process. 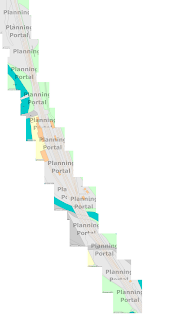 To produce an accurate track plan I have used survey maps from the Planning Portal. I printed the individual web pages to a PDF printer. I then extracted the map graphics and combined them in Photoshop to create the track plan image as shown. I then used this image as the background shape in TEMPLOT to align the templates on. Now I have the templates track building can begin. Track building and baseboards – to be continued in Part Two.